Get up to 7 free auto shipping quotes from the largest, most trusted Louisiana auto transport companies and save up to 50% on your car shipping rates at CarMoves.com. Car shipping companies in Louisiana compete for your business, which is how you can save hundreds, if not thousands of dollars on car transport services by shopping with us. Whether you're shipping a car to Louisiana, across the country, or even overseas, we can help you get the best price on your shipment - guaranteed! Read more about the following auto transport companies in Louisiana before getting a quote. Click on the name of the company to read a full review. Auto Transport 123 Despite Auto Transport 123's late start in the auto shipping industry, this 2010-founded company has already garnered a significant amount of acclaim, such as being the year's "best reviewed auto transport company." Additionally, Auto Transport 123 includes a particularly generous $1,000,000 insurance policy on enclosed shipping. 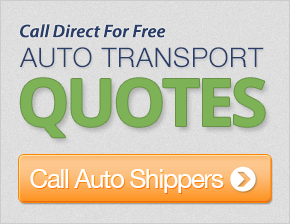 Get a free auto transport quote today to find out how much it costs to ship a car to or from Louisiana! Louisiana is one of the most unique Southern states in the US, due in part to a culture that shares roots with Spanish, French, Caribbean, and African-American cultures. As a result, Louisiana is one of the top tourist destinations not only for Americans, but also for people from all around the world. Many people venture to New Orleans each year to visit the French Quarter and participate in events like Mardi Gras, for which the state and the city are particularly well known. Another interesting aspect of Louisiana is its geography. In some ways very reminiscent of Florida, Louisiana is full of swamps, coastal marshes, and beaches. Much of the state, which was formed from earth and sand that flowed up the Mississippi River. As a result of the vast amount of water spread throughout Louisiana, the swamps are full of wildlife, ranging from a variety of orchids, to alligators and numerous birds, including Great Egrets and Brown Pelicans. Northern Louisiana has a somewhat different geography, with pine tree forests and savannas. The weather tends to get both hotter and cooler in the northern regions of the state as well, which aren't as tempered by the Gulf of Mexico. Cajun culture is a critical part of the state of Louisiana. Native to the swampy areas in southern Louisiana, traditional Cajun culture presents a mixture of Southern and classical European cultures. Many Cajuns have use particular words that mix French, Caribbean, and American English together to form a dialect that has spread throughout rural regions. Cajun food, from gumbo to grilled and smoked meat, is a favorite for locals and visitors. Fried food, such as boudin - a type of fried pork skin, is also a staple of the cuisine. The subculture even has its own type of music, which influenced country music and has evolved into a more modern, rock and blues oriented sound. Finally, one cannot write about the state of Louisiana without mentioning the affect of various hurricanes on major areas in the southern half of the state. Cities like New Orleans are still recovering from the effects of 2005's Hurricane Katrina, which cost the state and the city billions of dollars - some estimating total for both Louisiana and Mississippi to be near $150 billion dollars. Because most of Louisiana lies at or below sea level, the potential for catastrophic damage to cities along the coast, and even many miles inland, is possible due to hurricanes and tsunamis. Still, New Orleans and surrounding cities continue to rebuild, and their ability to regrow and start anew is impressive and admirable. CarMoves.com works with car shipping companies throughout the state of Louisiana. We can help you get the best prices on car transport services to the following cities in Louisiana: New Orleans, Baton Rouge, Shreveport, Metairie, Lafayette, Lake Charles, Kenner, Bossier City, Monroe, Alexandria and many more. If you don't see your city listed, don't worry - we can get your vehicle shipped anywhere in Louisiana. Scroll to the quote section on this page to compare free auto shipping quotes from up to 7 Louisiana auto transport companies and save up to 50% on your move! View the Louisiana Department of Transportation website for more information.